Have you ever wondered why some homes sell in only a few days, but it takes other homes weeks or months to sell? Years of real estate experience has provided us with key insight as to why some homes sell quicker than others. If you want your home to sell quickly at the price you want, follow these nine real estate secrets! When you list your home, it is likely to sell quicker if it considered move-in ready. This covers repairs big or small - from a leaky faucet or chipped paint, to major eyesores. The minor repairs that are often overlooked can leave a bad taste in the mouth of buyers, making them question if other more important areas of the home have been neglected. If anything in your home doesn’t meet code, be sure to replace or fix these items before listing your home. Often, buyers are willing to spend a little more on a home that does not require repairs or updates before they can move in. Buyers can also be pushed to other properties if they are worried about the time and effort required before move in. The importance of a quality first impression is critical when selling a home. When buyers first view a home, they are comparing how your home fits in within the neighborhood and judging it according to their expectations. The first and last thing individuals see when touring a home is the exterior, so it sets expectations and is the final impression of the property. Additionally, if the exterior of your home is in good shape, potential buyers see this as one less area of the house that would require repairs or updating. Discover more information on cheap and easy ways to enhance curb appeal. Most potential buyers now start their search for a new home online. From there, they decide which homes they want to spend more time on based on the photos available. For this reason, it is important to have high-quality photos that help your home put its best foot forward. A good rule of thumb is to have at least six photos. The bottom line is that storage space sells. No one has ever complained about having too much closet space, so be sure to highlight the storage space available and show all the potential uses. You can partially empty closets (hint, remove seasonal clothing) allowing the closets to give the illusion of having more space available. At a minimum, you should organize and declutter your closets, so they do not look cramped. With energy efficiency being a hot topic, upgrading or installing energy-efficient features can increase the appeal of your home to buyers. From small updates like installing energy efficient light bulbs and a remote thermostat to larger updates like upgrading the insulation or putting in energy efficient windows, every energy efficient feature can be another plus in the mind of a buyer. Discover other ways you can make your home more energy efficient here. It is a common misconception that the listing price should start high and then lower as time goes on. This method often increases time on market for multiple reasons. First, if the price is too high people will automatically rule it out. You do not want to discourage buyers with an unreasonable price tag. An irrational price tag can also lead buyers and agents to avoid your listing because they are concerned you are not serious about selling or that you are unwilling to negotiate. Lastly, if an agent or buyer sees that the price has been lowered multiple times while the house is on the market, they can infer that you are desperate to sell. This can lower their offer price even further. All of that being said, your home does not need to be the lowest priced home in the neighborhood to sell. If your house has differentiating factors from other homes nearby, use those as selling points for the additional cost. The verbiage you use when listing your home also plays an important role in its sale. Language like move-in condition, beautiful, gorgeous, spacious, new and upgraded will peak a buyer's interest. Wording to avoid includes motivated buyers, must sell and other adjectives that make you seem desperate to sell. The purpose of your listing is to get the potential customers in the door of your home where you and your realtor can sell them on its features. Reread your listing and double check that it is encouraging and accurately displays the benefits of your home. Everyone knows they need to stage their home, but most people do not know what this entails. Extra or unused areas should be staged with a purpose. For example, if you have an alcove, stage it as a reading nook, or stage an extra closet as a pantry. Staging also requires depersonalizing a home. You want to portray how easy it would be for another family to make memories in your home, so remove clutter and personal belongings. Proper staging also involves deep cleaning and arranging the furniture in a way that makes your home desirable. If a room is on the small side, remove excess furniture to give it the appearance of being larger. Staging is a complicated process, so here are ten additional staging tips to help your home sell fast. Even if you follow all of these tips, it can still be challenging to sell your home quickly if the proper audience is not seeing your listing. Be sure you have an experienced agent who is willing to go above and beyond to meet your needs. Houses listed with Space Simply have an average time on the market of 34 days, with a median of only seven days! 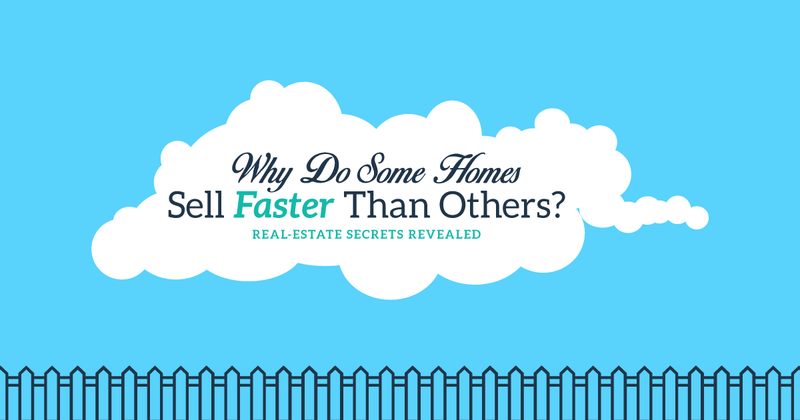 Want your home to sell quickly? Contact Space Simply at (515) 423-0899 or online for a quick and stress-free home sale.